Formulated to cleanse toxins! Pass Any Drug Test! 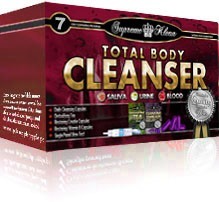 The Total Body Cleanser - benzodiazepine detox solution is designed to permanently cleanse all toxins and drug metabolites from your saliva, urine and blood so you can pass any drug test. The detox program includes daily packets of detox capsules which further contain six detox capsules per packet. The detox program also includes the Supreme Klean detoxification and cleansing capsules that are supposed to be taken on a daily basis with meals. Herbal detox tea is also included to boost the detoxification process and help you pass a drug test. Specifically pass a benzo drug test or pass xanax drug test.